Delicious. 85 days. A popular heirloom developed around 1920 by a Japanese market grower in California. Sweet, smooth orange flesh. A good flavored Cantaloupe. 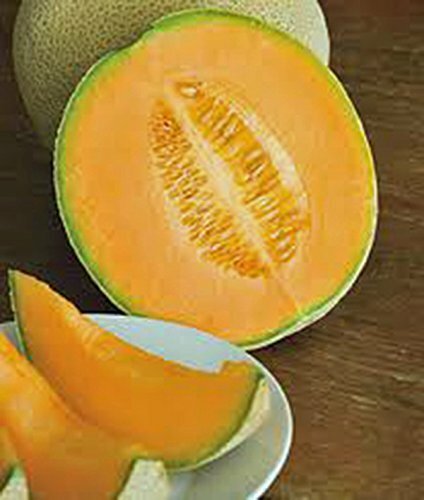 Hale's Best Jumbo is a great old heirloom melon that was originally introduced to the public market over 80 years ago that has stood the test of time due to it's marvelous production abilities of large, sweet melons. Originally discovered by ID Hale near Brawley, California in 1923 in a Japanese market gardener's garden. The melons are heavily netted with a very fragrant, salmon colored flesh. Zones 3-10 All seeds are packaged and for the current growing season.